Owning and operating a business in the Renton area can be very rewarding but also very challenging. One of the most challenging experiences that business owners may face is the unexpected occurrence of emergency situations. Without warning, property damage or a customer injury can lead to very expensive costs for repairs, damages or even a settlement. Paying for these costs directly out of pocket can have a serious negative effect on the future of a business. This is why it’s so important for business owners to find a great deal on a comprehensive commercial insurance policy from commercial insurance brokers in Renton. All it takes is a quick phone call to the friendly insurance experts at American Insure-All® to get a free quote on an affordable and comprehensive commercial insurance policy. There are many different types of commercial insurance policies and each one is critically important. Although each business will have a different set of particular needs, there are a few common types of commercial insurance that are very popular for businesses of all kinds. These include liability insurance, property insurance, commercial vehicle insurance and workers’ compensation insurance. With all of these insurance plans in place, a business owner can be fully prepared for nearly any type of emergency situation that might occur. The best type of protection for any particular business is the insurance policy that offers the most comprehensive coverage. Of course, a commercial insurance policy is only worthwhile if the business owner can afford the monthly premium payments. A policy that is too expensive to afford can actually do more harm to a business than good. That’s why, here at American Insure-All®, we work with over 52 different insurance providers. We can match any type of business customer up with an insurance provider that offers plans that meet the owner’s needs as well as their budget requirements. 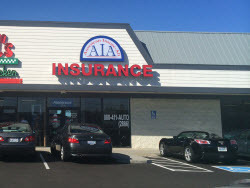 Getting a great deal on an insurance policy from commercial insurance brokers in Renton is simple. All it takes is one quick phone call to the friendly insurance experts at American Insure-All®. For a free quote and insurance answers, call us today at (888)411-AUTO.